As the digital world evolves, so should your approach to connecting with potential leads. Doing a simple search in Google will tell you that it's no longer enough to rely on organic leads to sustain your sales funnel. 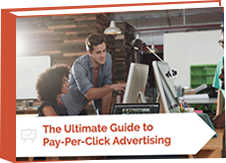 It is more important than ever to have a strategic PPC advertising plan in place to attract leads that can actually benefit from your product or service. Fill out the form to get your copy instantly.